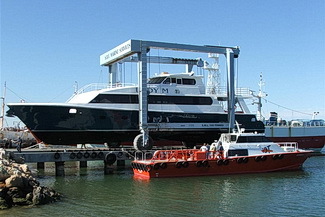 Henderson Boat Lifters (HBL) is an extension of the Mackenzie Marine and Towage group and has commenced operations in the yard formerly known as Triton Marine Base. Our management and employees have extensive marine knowledge from fleet operation and maintenance to boat building and repairs. HBL is a product of the market requirement for a professional boat lifting and repair facility with a flexible working environment. 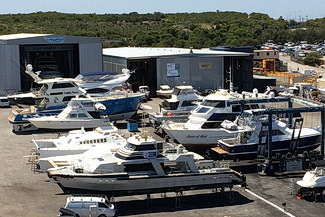 HBL can provide all of your boat lifting requirements in one place. Our boat lifters are rated at 75T and 150T capacity and can safely lift and hardstand your boat to enable marine repair and maintenance with ease. Access to the yard is free and available 24/7 and clients are free to choose their own contractors.